StarHub has launched a social media listening lab. Called Social Hub, it is a customised platform that allows the use of social media monitoring to actively listen to and extract real-time conversations about StarHub across Singapore. According to Darren Choo, StarHub’s assistant vice president, social customer relationship management, Social Hub will help StarHub to overview its performance and aid in building strong relationships with customers in the social media space. The tool also aids the brand in deciding when and how to reply to a query or a complaint on Facebook. It also tracks the Singapore mobile, pay TV or broadband connections through location tagged tweets. “We are now also able to identify conversation sentiments and to tag customers as brand advocates and potential influencers that complement and assist in CRM management,” Choo added. Choo will be leading the service with a team of 10. 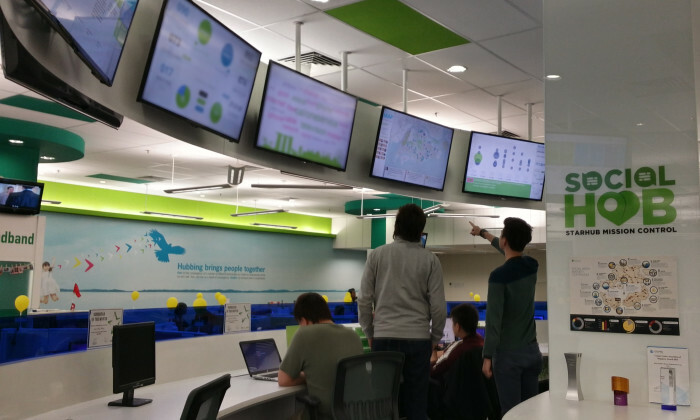 Located within StarHub’s call centre, Social Hub functions similarly to that of a control centre. It was developed to support and further enhance StarHub’s ongoing Social CRM efforts. The categorising and tracking of posts, tweets, conversations, images and videos about the brand is powered by Vocanic’s proprietary social insights and conversation management platform, VSocial. According to international social media statistics company Socialbakers, the telecom industry receives the highest number of questions across both Facebook and Twitter channels. “It’s clear that companies across the board—especially those in service-based industries—are investing more in real-time customer care,”Jan Rezab, CEO of Socialbakers, said. StarHub was named the top Socially Devoted brand on Facebook in Singapore by Social Bakers in the last quarter of 2013, scoring a high of 86.29% for social response rates, which is 9% above the global industry average for telcos. Magic Leap is one of the most well-known global AR technology developers, with shareholders including Google, Alibaba and Qualcomm..
Would you dare discuss the divorce in your ad?..